We first met Dave and Adam Monke in Nebraska at SCI’s Annual Chapter Convention during 2008. 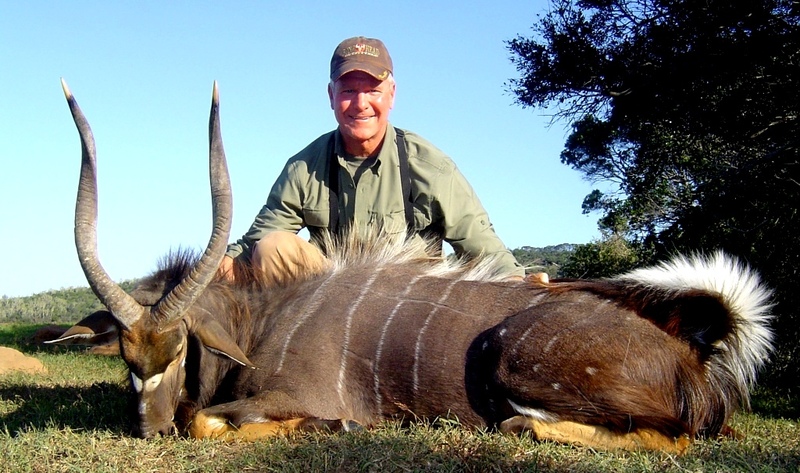 At that stage the only hunt the Monke’s had in mind was for Cape Buffalo. 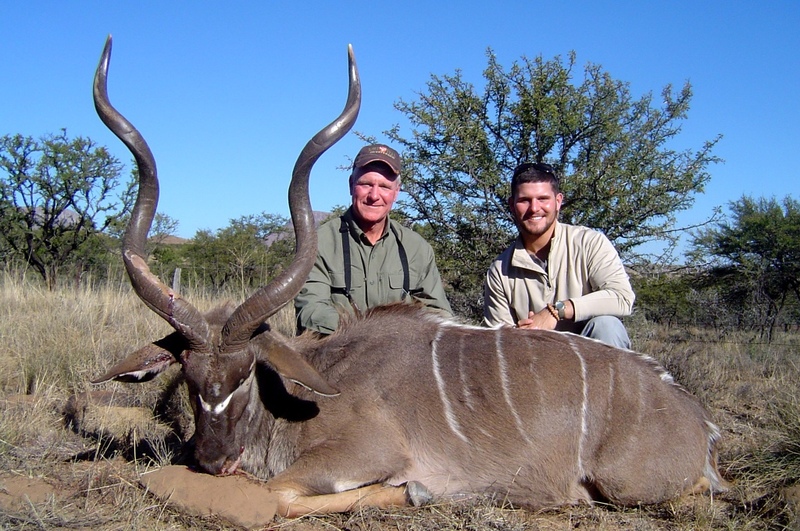 Neither Dave nor Adam had travelled to Africa and we did our utmost to convince the guys on joining us for a Plains Game hunt in South Africa before going after Cape Buffalo. With heavy hearts and a breath of uncertainty, the Monke’s agreed to start their African hunting career with a Plain Game Safari. 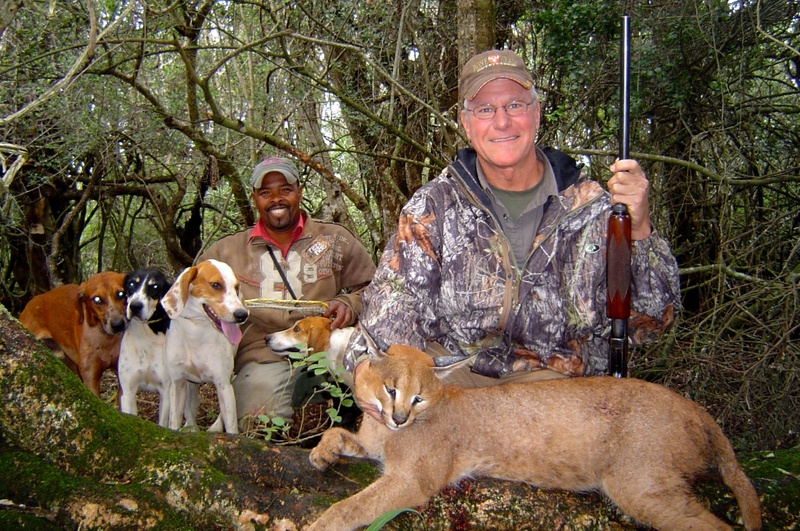 Professional Hunters Gary Phillips and Juan MacDonald not only ensured the Monke’s hunted a high standard of quality trophies. 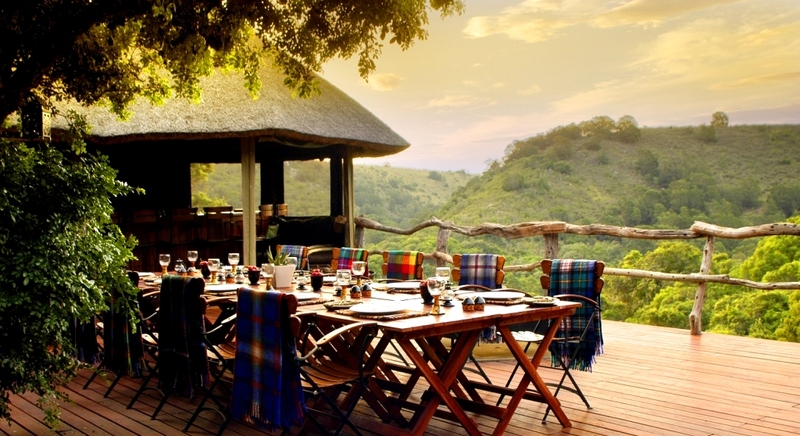 Most importantly, they made sure that the Monke’s first safari was a first class experience. We now invite you to follow them through the lenses of our cameras to experience their first few days of what looks to be a long and succesfull African hunting career…. The guys quickly found out that most things in Africa were bigger. 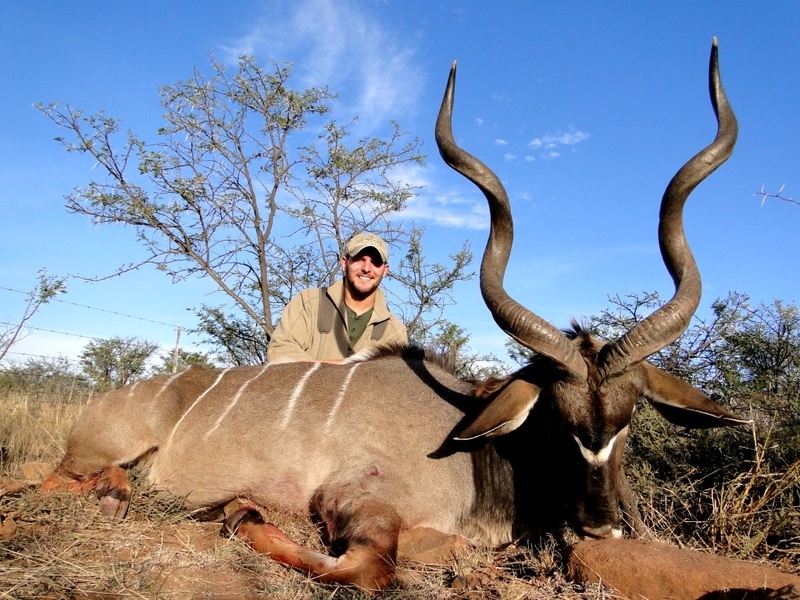 It was early June, the rut was in full swing, and hunting season had just opened for Kudu in our Eastern mountainous area. The guys wanted to be the first to hit the big open areas of the mountain country. Luck was close at hand on the very first day, when Adam and PH, Juan, bumped into this fine bull. Dave in the meantime was enjoying the flat country. This Gemsbuck fell to a great shot. Dave with Professional Hunter, Gary, spotted a number of bulls that first day with no real chances. This old bull finally gave Dave a chance. A magnificent trophy with great character – notice how worn the bulls tips are. The Northern areas were breath-taking and game was plentiful. 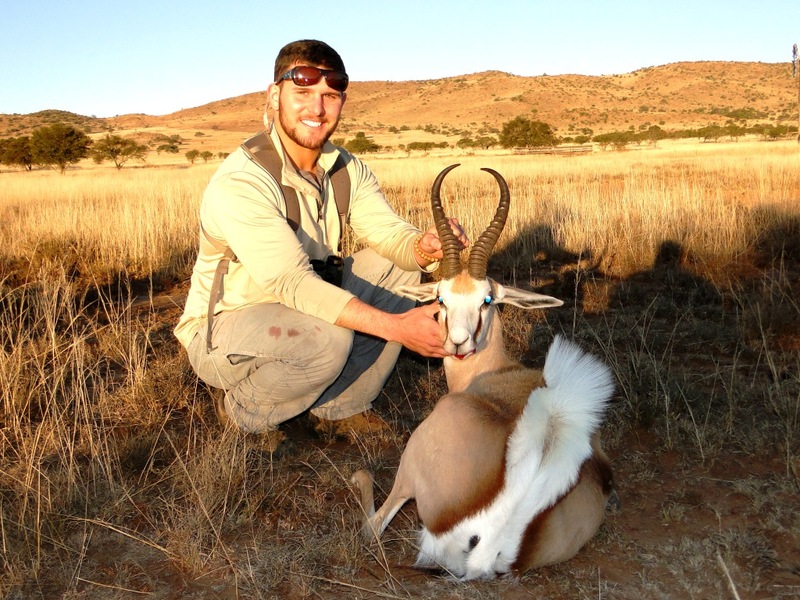 Late one afternoon Adam harvested this fantastic Cape Springbuck. 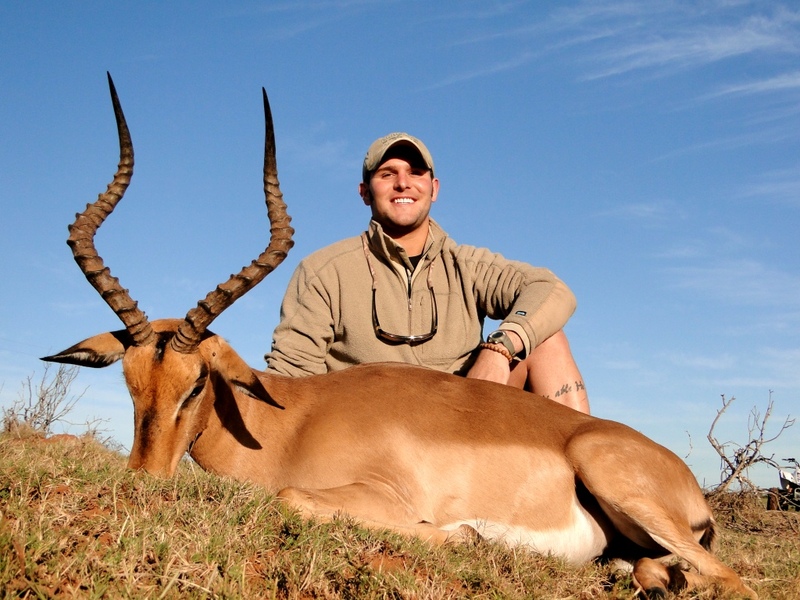 He was lucky to experience the “Pronking”,when the hair on the back of the Springbuck rises and fans. 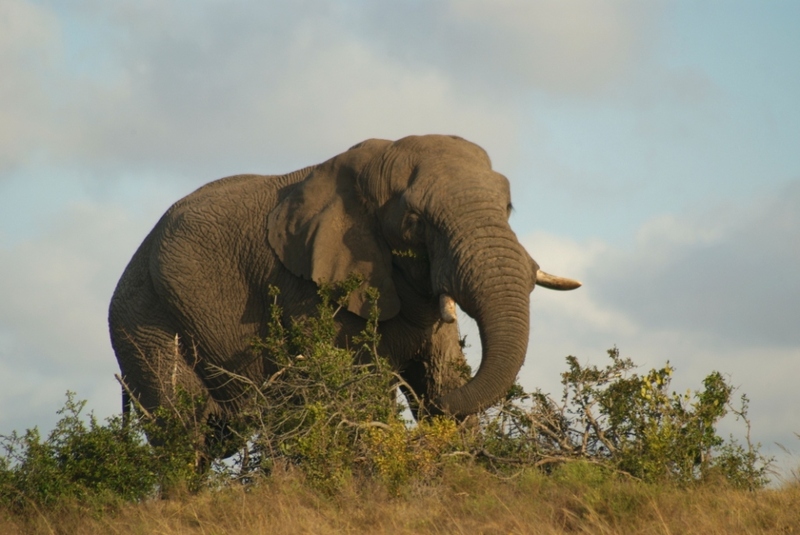 This afforded him the opportunity to witness an old Bushman’s myth. The myth goes, the Bushman believe that the “Pronk” is the only way in which the Sprinbucks’ spirit is allowed to leave this earth and enter the after life. 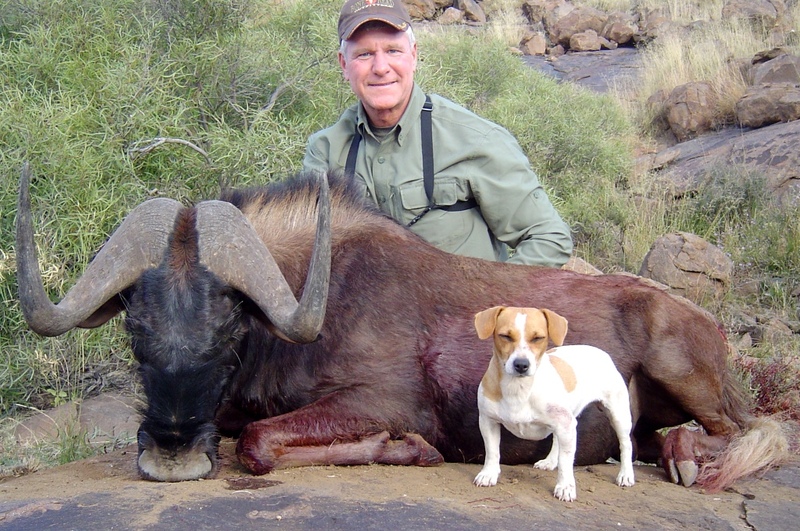 Penny, the Jack Russel, was at hand to save the day on Dave’s Black Wildebeest. Great Bull with a wide-spread. 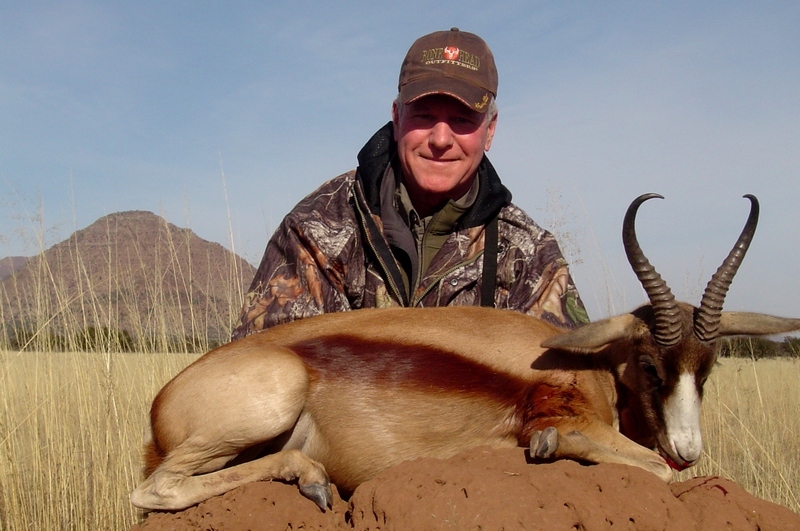 The third of Dave’s Springbuck collection, the rare Copper Springbuck. During their travels they got see some of rural Africa. From the north the hunting party headed back south to hunt the rolling hills meandering down to the Indian Ocean and the Coastal forests’. Back down south, and once again Adam got lucky first. 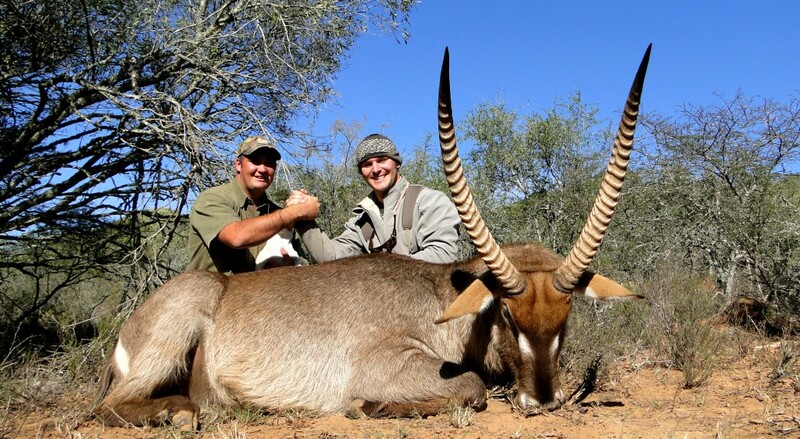 This time with one of the best Waterbuck of the season! At times it seemed that they were not the only ones on the hunt…..
One never seems to get tired of just spotting Nyala, having the opportunity to hunt one is a treat, and getting lucky on a good bull like this is unbelievable. No Safari would be complete without an Impala! Camp was a welcome break from the days adventures with dinners on the deck…. 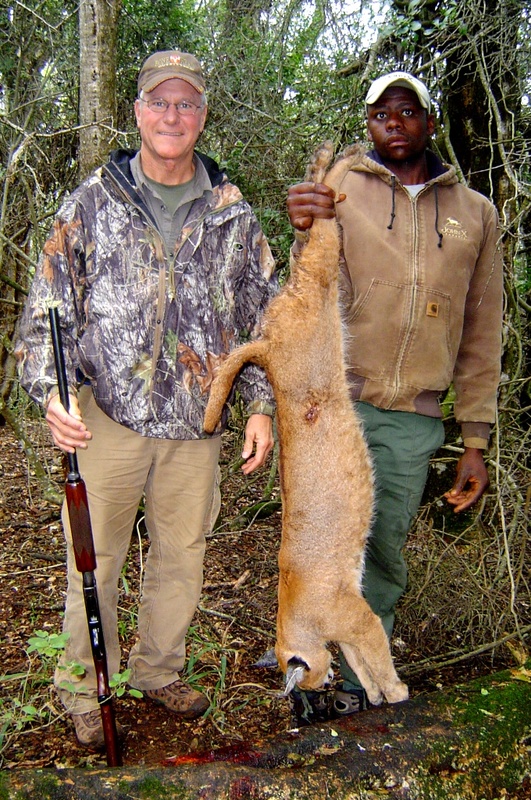 Dave had been hunting hard for a Caracal, conditions were tough, but perseverance paid off in the end. Well done Dave! Dave with tracker, Michael, giving one a better idea of the size and quality of his cat. 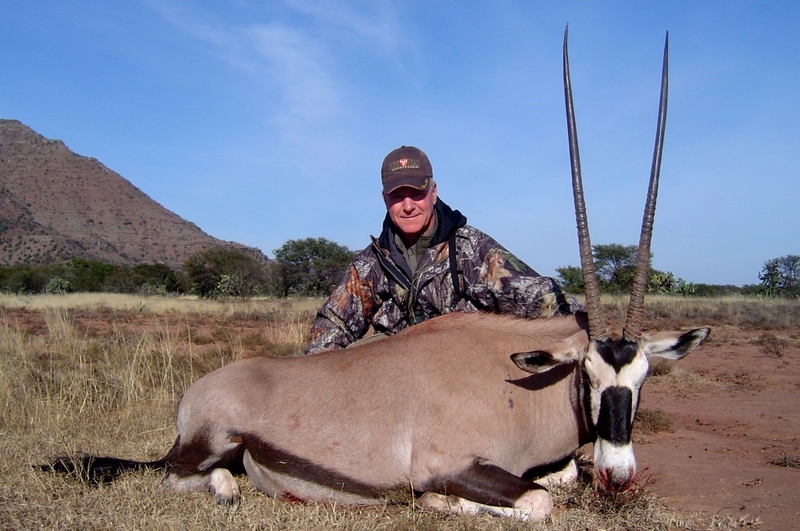 When the time came for us to part ways at the end of their hunt, Dave and I sat down for a last drink and reminisced over the unforgettable 10 days spent at John X Safaris. At last he was convinced. First Plains Game and only then Big 5. 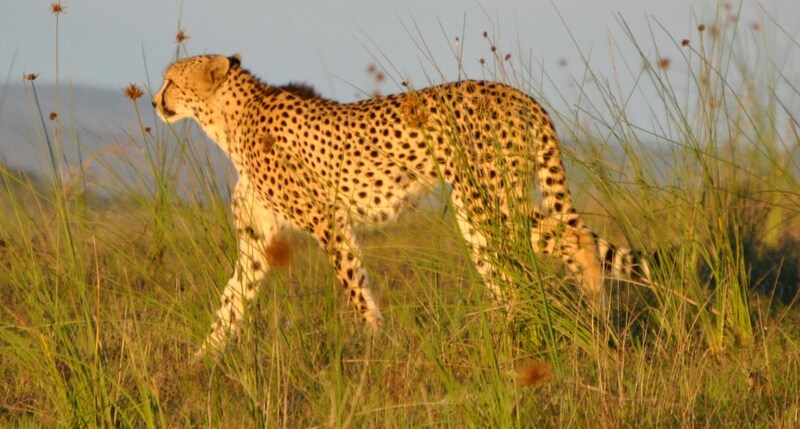 He had come to realise, Africa has much to offer and so many places to see. Why rush when you may miss the best along the way? Dave. Adam. Its time – You’ve been challenged…..